We advise our students to avoid loans whenever possible. If it comes down to a choice between a school that will give you substantial scholarships and a school that will require you to take on major debt, we say go with the first option every time. However, many students are lured by the promise of loan forgiveness programs. Loan forgiveness programs for federal student loans promise that people who pay a certain amount (determined by income) towards their loan for 20-25 years (or 10-15 years for government or non-profit workers) will then have the remainder forgiven. To stay in the program, you must recertify your income every year. But according to a recent Denver Post article, half of borrowers fail to do this, resulting in ballooning payments as accrued interest is added to the principal balance. Even for those who stay in the program, it amounts to more of an extended payment plan than a true forgiveness program. You end up paying a huge sum in interest over the course of the loan, and in the end you may only receive a small break from the government. If you are late on even one payment, you may be dropped altogether. According to the Post, only 53% of people who enroll in a loan forgiveness program in 2018 will receive any forgiveness (and this estimate might be high). Some students take on loans assuming that they will pursue a certain career path, but this is a dicey proposition. Who knows whether you will actually want to work in a non-profit setting for 10+ years. You’ll have more freedom to choose a job you really love if you aren’t bound by loan repayment strictures. The Trump administration has also specifically stated that it hopes to slash loan forgiveness programs. The jury is still out on this, but we say play it safe and don’t rely on your loans being forgiven down the road. When it comes to college financial planning, we recommend taking on debt only if absolutely necessary and to only take out the bare minimum required. 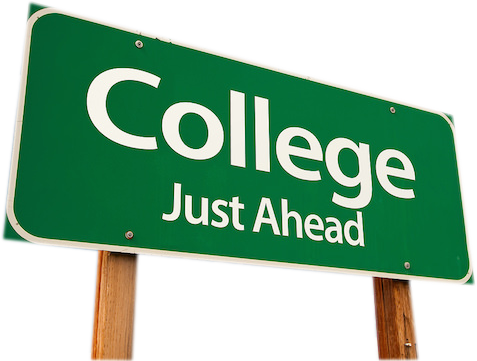 Have additional questions about loans and choosing the right college for you? Come meet with our college planners before you make any big decisions. You can make an appointment by calling us at 720-216-2222.